A PhD student in Math at PRESTIGIOUS SCHOOL was defending his thesis which was in REALLY ABSTRACT AREA and BIG SHOT IN THAT AREA was in town and decided to go to the defense. At the end of the defense BIGSHOT said The object you are studying is NOTION OF TRIVIAL FOR THAT OBJECT. I've heard this with PRESTIGIOUS SCHOOL being Harvard, MIT, or Princeton. I've heard it with REALLY ABSTRACT AREA being Category theory, Algebraic Geometry, Topology, or Logic. I've heard it with NOTION OF TRIVIAL being the empty set, any finite set, a 1-point space, or an inconsistent system of axioms. I have not heard all possible combinations. For example, if the area was algebraic geometry, it is unlikely that the notion of triviality be an inconsistent system of axioms, unless the teller got his legends wrong. Is this a pure math pure urban legend or was there ever a case like this? I suspect that it is pure fiction. You may be thinking: Math is so abstract that it could have happened. True enough, but do not confuse what could have happened with what did happen. Like most urban legends the story persists because, while it may be false, the point it is making--- math is so abstract it is possible to lose track of what you are talking about--- has some truth to it. If this story is true or even mostly and you KNOW this then please leave a comment to that affect. I heard a version of this story right here on this blog... ask your co-blogger. This story seems especially ripe for becoming an urban legend since academic etiquette requires that the unfortunate grad student be made anonymous. http://blog.computationalcomplexity.org/2006/11/thesis-to-forget.html. Comment 9 looks familiar. Heard a similar version that was at least told in the first person, not friend-of-a-friend. Some student's work involved improving predictions on samples from a uniform distribution. At defense, the story teller pointed out that that's equivalent to optimizing a random number generator. I'd be shocked if there isn't a kernel of truth to these stories, where a student pursues a topic based on a set with conflicting properties and it turns out to be a dead end (plenty of ways to hit dead ends in research it seems). This being pointed out at the defense seems like an embellishment, but I suppose you never know. A case I know of first-hand: A doctoral student in engineering developed some powerful pattern matching theorems based on various transformations including one that was introduced in a major conference paper. At the student's defense one of the examiners pointed out an example showing that the transformation doesn't have one of the key claimed properties. The student sat silent for a minute and then simply said that his thesis is wrong. The examiners were shocked and assured him that the situation couldn't be that bad. It turned out that it was that bad and the student did not complete his doctorate. Fortunately his advisor helped him land a good job in which he has established a successful career. There is a version here too. Look under the bullet "What is a nice function?" Yup, I heard the same story at Berkeley. Here's a funny (true) story that Christos Papadimitriou likes to tell when introducing a certain result. I don't recall the name of the algorithm or the student, which won't help its credibility... but Christos regularly tells it, and someone more familiar with the story can supply details. The student who proved this result for his thesis was concerned that the result was excessively simple - so simple, in fact, that he feared it had been proved already, and that he just wasn't familiar with the result. For several weeks before his defense, the student had a recurring nightmare that a mysterious stranger would walk in, hear his result, and ask, "Are you aware of your result being proved in the Proceedings of the Bulgarian Academy of Science, 1963?" Come defense day, the student was giving his talk, and everything was going fine aside from the usual nerves. Suddenly, a less-well-known Christos walked in and sat quietly in the back, and everything stopped as the student began to panic. Afterwards, Christos asked the student why he had stopped, and the student explained, "Well, you look so Bulgarian..."
Fortunately, the result was original, so the nightmare did not come true after all. But Christos still delights in this story, which has a happier ending than the folklore tale of the nightmare defense. My own thesis advisor, Lowell Brown, described at lunch his personally attending to a PhD thesis defense (in quantum field theory), deriving the main conclusion of that thesis on a single page, and putting that single page in the student's mailbox. No-one who heard that story thought it was out-of-character ... especially since Lowell Brown's own thesis advisor had been Julian Schwinger, who was renowned for his elegant one-page derivations of tough results. Certainly, many professors have found themselves in a similar academic situation ... a situation in which even the most optimal choices are none too appetizing. That is why these narratives exert a grim-yet-universal fascination for students and faculty alike. 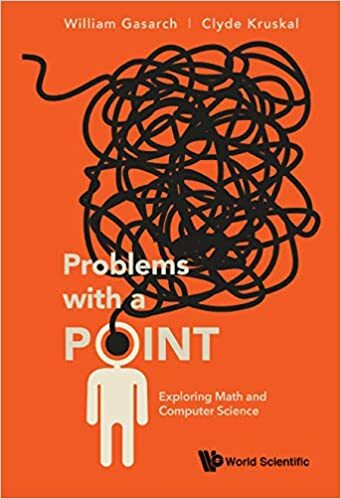 And to the above, I will add a true first-person account ... one that perhaps almost faculty have shared ... and perhaps no-one knows how to solve in any elegant way. "Only the names have been changed, to protect the ubiquitous!" "While attending a PhD thesis defense on multidisciplinary topic 〈X〉 in department/minor division 〈Y〉 of school/major division 〈Z〉, I realized that similar work was regarded as master's thesis-level in in department/minor division 〈Y'〉 of school/major division 〈Z'〉 within that same university"
In essence, these (tough) cases require an objective definition of "quality" in multidisciplinary academic research. Typically these quality-related boundaries are debated by faculty ex situ, there being little to be gained—for students or faculty—from case-by-case debate. More broadly—as is typically the case with "urban legends"—GASARCH's examples touch upon important issues that are mighty tough to deal with by strictly rational discourse. My experience is that academic urban legends are commonplace in math and science, yet rare in medicine. The reason is that in medicine, one never knows when the door of the clinic will open, and in will walk a case whose real-world complexity immensely surpasses even the wildest urban legend. Thus medical students/residents swiftly learn that they don't need urban legends ... because they grapple with them on a daily basis. And now, with the increasingly prevalence of global-scale multidisciplinary research programs, mathematicians and scientists now are grappling with these tough issues too. This I take to that part of the motivation for GASARCH's post, which remains when the "urban legend" overlay of humor and scandal — that is, the tasty stuff! — is stripped away. This is related to the kind of nightmare that one has waking up in a cold sweat. "Dissertation collapse" is something I have personally witnessed twice, once in my first year as a grad student at Toronto so it made a considerable impression on me. Steve Cook asked a question in the middle of one of the spring theory postdoc interview talks (which I recall was about some aspect of SAT) and it became clear within a couple of minutes that things had collapsed completely. Another much more recent instance at an oral I attended, in order to derive his main result a student had assumed uniform continuity for a continuous function on an open rather than a closed set. In the latter case it took only another couple of months for things to be fixed, with weaker results in the end. I don't know what happened in the first case but I never heard of the postdoc candidate again. I heard a couple of cases at a famous university (Yale/Princeton/MIT/Berkeley - one of those, to be precise) where professor who wanted to work with a student, but a student chose another professor, comes to fail him at the oral (this story is true for several places). Another case a graduate student got expelled to his home country (China/India/Russia - one of those) because he insulted some professor - they managed to get the student arrested. Another such case, student had to be locked in a mental hospital. Another case a postdoc got expelled and got put to a mental hospital (again Princeton/Yale/MIT/Stanford - but if I tell you the expelled guy won the Nobel Prize later on, you can easily guess) . Another case at (Princeton/Harvard/Yale/MIT/Stanford) a professor was not allowed to take more students after 6 have committed suicide under his direction (thesis direction, that is). There are other cases where lunatics hit back. Academia is a crazy place with a lot of power-crazed people. Bringing ruin sometimes comes by stealing and plagiarizing student work, or postdoc work (again, many cases, at respected schools), this seems to be normal practice. In experimental sciences, grad students are exploited and abused, in theoretical sciences too, and of course establishment takes care to make tenured equal untouchable - from students, scientists from less wealthy/influential regions, posdocs and juniors there is free season open for stealing, harassing and abusing with little or no consequence - something as widespread and intractable as the corruption in the worst affected third world countries, where one can do little to affect the corruption, since it is a way of life. It is interesting what happened to the advisor who was (mis)directing thesis of the person who allegedly got thesis squashed at the defense, and what consequences did he have. None we can safely guess, probably was one of those advisors who care only about their own interest and are never available to do their advising duties - advising equals enslaving for them. The academia (in US in particular, where the system is by far the most developed - in Europe for instance relations are less exploitative and less organized) depends on the cheap student labor, and overproduces PhD-s for that purpose, it is one of the most brutal form of exploitation in the market; the graduate student slave labor is extremely important for experimental and engineering fields, where the chief reason to be at the good university is quality of cheap grad students who do all the work. At Max Planck in Europe, on the contrary, students have technical assistants, but in US, the logic is skewed and extends to all fields. Graduate students are treated as trash, from top places to the bottom. At best, they serve as future clique makers, in a scheme that very accurate phdcomics calls "Profzi scheme". Talking about urban legend, what about the following (good) ones: "a student comes into class, sees professor wrote 3 problems in the board. They are in fact open problems, but since the student came late, he thinks they are the homework questions. Then he comes back some time later and tells the professor: 'the problem set is very hard. I could only solve one of them'". I heard this story about Dantzig and about other two or three different people - what made me think it is an urban legend. Does anyone know anything more about it? Yes, it is Fields medalist John Milnor that was late for class, and the three conjectures written on the blackboard he understood to be a homework. He was only able to solve one in a weeks time. It lead to publication in popular Annals of Mathematics (now obscure but once top journal in the 50s) "On the total curvature of knots". It is not a legend, it is a true story. Also a true story is that another Fields medalist refused million dollars and decided to pluck some mushrooms and cook his mother some Borscht. Another math genius took refuge in the hills and send out some bombs, till his brother turned him in after some 30 years of terrorizing academic crooks. Ann. Math. is hardly obscure. It is the top journal in the field. It is not even close to Journal of the ACM, or Journal of the AMS. These are on the top nowadays. The Annals is such a legendary journal that can't even be compared to anything. Calling it "obscure" is hilarious. it should've been brunette instead of "black-hair"
"since academic etiquette requires that grad student be made anonymous"
The version of this I heard concerns an art history student, who was analyzing art by the Old Masters. He pointed out that, in various paintings by the great masters, there was a recurring pattern where common objects of interest formed circles. For instance, if you analyzed the work of Durer, you would find that the crook of so and so's arm, the elbow, and the shoulder formed a circle, et cetera. And he gave a wonderful talk, peppered with slides and examples, showing this recurring theme where various triplets of geometric features formed circles. hey this is no urban legend. the student you are refering to is me. The professor walking into my defense was polish not bulgarian though. That was roughly 242 years ago ... when i was a little bit younger. nice that you remember me all ... so, i turned into an urban legend. i see, isee. The academic urban legend "The Art History Student and the Math Professor" illustrates an important social function of these legends: to assert superior academic status. Consider the following assertions: "Two objects determine a balance point", "Three objects determine an arc", "Four objects determine two perspective points". Mathematically these statements are trivial; artistically they are fundamental elements of natural visual processing; neurologically they are (are they?) among the non-conscious primitives of the visual cortex. Thus, in "The Art History Student and the Math Professor", it is the art student who is exhibiting more thoroughly integrated understanding of the subject matter ... not the math professor! So perhaps the social function of the story is to help mathematicians feel comfortable with their relative ignorance? Ouch! We can comfort ourselves by reflecting that there are mathematicians who exhibit an in-depth understanding of visual balance in both its mathematical and aesthetic manifestations ... Donald Knuth is an outstanding example, with his marvelous algorithms for kerning, hyphenation, and justification. Aye, lasses and laddies, it's Don Knuth who shows us how to creatively blend art with mathematics ... to everyone's great benefit. Folks who want to further explore the intersection of visual art and math might enjoy Karl Hofmann's "Commutative Diagrams in the Fine Arts" in Notices of the AMS (2002). The version of this I heard had to do with a physics PhD candidate talking about some aspect of quantum field theory, collapsing when the odd man out in the orals committee (versions vary, usually his department is english) asked "What's a field?" John Dougan's story was one of three cautionary tales that were shared among graduate students at FermiLab in the mid-1970s. How long is a wavelength of light? (fingers 2 cm apart) This big? Young fellah, do I look fuzzy to you? Graduate student: (light-heartedly) "I check the tension in my shoelaces ten times a day!" Group leader: (one week later) "I regret to inform you that your graduate fellowship is terminated." The graduate student was forcibly returned to a homeland in the midst of a cultural revolution. Graduate student: (watching beam-line monitor at 2:00 am) "What's that? " None of these three stories was regarded as funny among FermiLab's grad students, and in all three cases a specific name was attached. Only for the first story is the principal now deceased ... it was Feynman. Here we see that academic legends convey valuable advice to student ... and we see also that this function is well-served—perhaps better-served—when names are not attached. Wait, she's still doing well in co-working with me. Khott, my boss says your stupid roadmap can't work. Forget it. In my opinion, it is currently way too far from the standard approaches. can a stupid math student have a TCS result? Why did 1+1=2 take Russell and Whitehead 300 pages? Third Poll on P vs NP and related Questions is out now! And the winner is Harambe! Should You Mentor High School Students? How Can You Spend $150 Million?